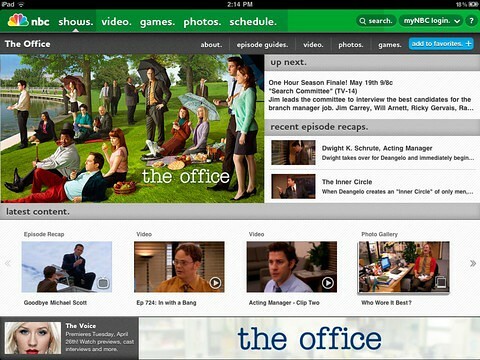 NBC has updated its iPad app to let you watch full length episodes of your favorite shows for free. 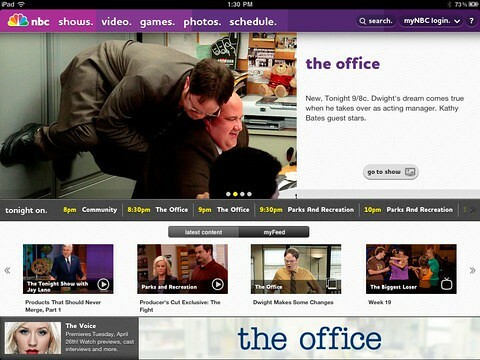 The all-new NBC app allows you to take all your favorite NBC shows on the go. Watch the latest full episodes, view photos, read recaps, play games, keep track and see previews of upcoming shows, and interact with other fans. - FULL EPISODES NOW AVAILABLE! You can download NBC from the App Store for free.